Lock in a great price for Sunset Homestay 2 - rated 9.1 by recent guests. Loving the atmosphere around the homestay. Very comfy. I enjoyed my time there the keyboard and carrom. A lot of services are offered too eg; motorcycle and bicycle rental. Best part is I could make my own coffee at the pantry. Very higly recommended. Would surely come back here in future! We adored this hostel. Our room was basic but comfortable. The bathroom was cleaned regularly. Free tea and coffee all day. Good communal areas. Cheap snacks and beer available to buy. Kitchen/fridge which you could use. A very short walk into town, maybe 10 minutes. Good WiFi. Great value for money! Staff was really friendly and the common areas were really cozy. Everything was perfect ! Would recommend to anyone . Great location , great price , outside area to dry clothes . We had a great time there , quiet, drinks to buy, kitchen to use , didn't need anything else! Staff was really nice and helpful. Good facilities - kitchen, dining table, clean toilets, terrace, computer and common room. Big room and good wifi connection. The staff is really friendly and helpful. Everything is very clean. It is just a 5-10 minutes walk to get to the waterfront. One of our bestsellers in Kuching! 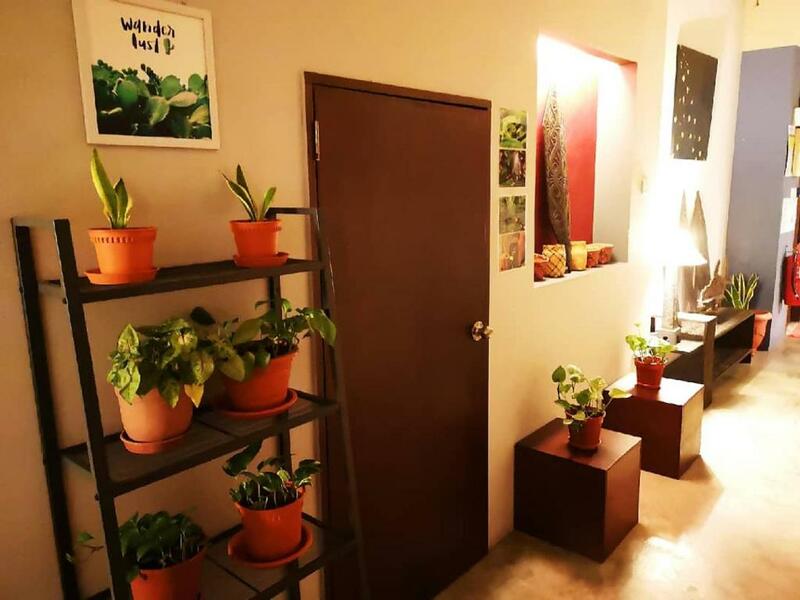 Sunset Homestay 2 provides free WiFi and rooms with air conditioning in Kuching. The property is close to Kuching Waterfront Bazaar, Sarawak Musuem and St. Thomas's Cathedral. Attractions in the area include Borneo Convention Centre Kuching, 5.6 miles away, or Sarawak Stadium, located 6.2 miles from the property. Kuching Airport is 7.5 miles away. This is our guests' favourite part of Kuching, according to independent reviews. This property is also rated for the best value in Kuching! Guests are getting more for their money when compared to other properties in this city. Sunset Homestay 2 has been welcoming Booking.com guests since 14 Sept 2017. When would you like to stay at Sunset Homestay 2? House rules Sunset Homestay 2 takes special requests - add in the next step! One child under 12 years is charged MYR 15 per night when using existing beds. All further older children or adults are charged MYR 25 per night for extra beds. Please inform Sunset Homestay 2 in advance of your expected arrival time. You can use the Special Requests box when booking, or contact the property directly with the contact details provided in your confirmation. It will gain lots of points with a bit of breakfast to add to the coffee or tea available. Location was a bit far, but we still walked pretty much everywhere around the centre and river. For long distances you can easily/cheaply use Grab. Nice stay close to town. From the Owner to the Staff (Mr. & Mrs.Arther) was Great and very kind person. Excellent! !